It all began when ‘Batman vs. Superman’ director Zack Snyder, tweeted & revealed the first look of Ben Affleck as the Batman. A dramatic scene that had the Dark Knight standing with a little gloomy grace – that seemed to be the thing Internet picked up. Snyder could have not expected what followed after. 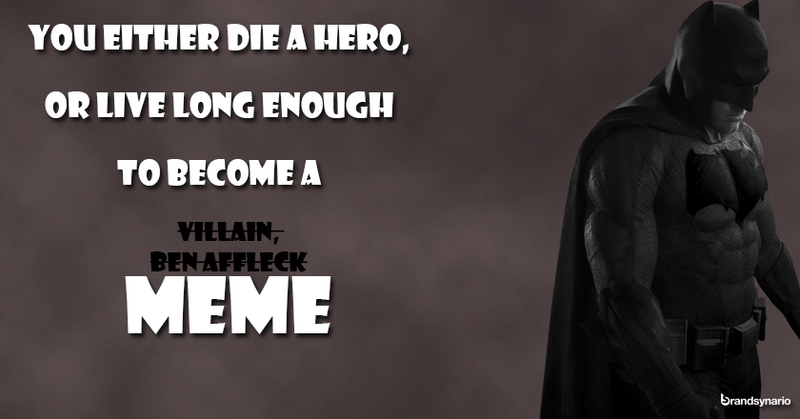 An avalanche of memes all focused on the sadness of Ben Affleck in this picture. The ‘Photoshoppers’ of Facebook and Twitter, have turned the first look of Batman into something entirely different.